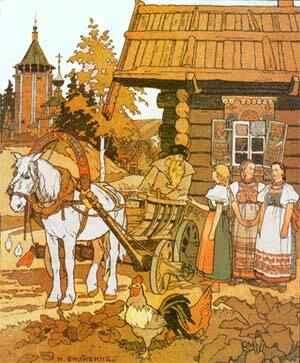 Illustration by Ivan Bilibin for Fenist the Falcon. I’m delighted to announce that my modern fairy tale, A Feather of Fenist the Falcon has just been published, with its accompanying research statement, in a special issue of the prestigious journal TEXT(Special Issues series, Vol 43). Titled Into the Bush: Australasian Fairy Tales, the special issue focusses on the particular take of Australian writers on fairy tales and features both creative and analytical pieces. 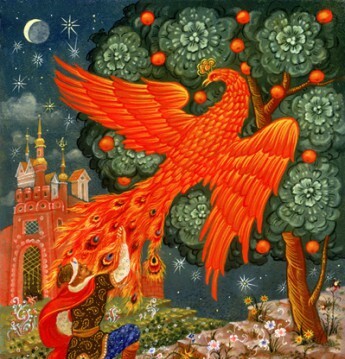 A Feather of Fenist the Falcon is inspired of course by the wonderful Russian fairy tale, Fenist(or Finist) the Falcon, which I’ve loved ever since I first read it as a teenager, in a Soviet-era reprint of a classic version superbly illustrated by the great Ivan Bilibin. With its echoes of Beauty and the Beast and Psyche and Cupid, the tale has a haunting beauty, romantic power and great storytelling verve. My story transposes the setting to contemporary Australia, within a wealthy Russian immigrant family, but also keeps within the timeless dimensions of the original tale by not overtly stating place or time, It’s told from the point of view of the youngest daughter, focussing on the very beginning of the tale, up till the moment when the feather brings the shapeshifter, Fenist to her window. I loved creating this rich, disorienting and resonant contemporary fairy tale world. And have a read of all the other wonderful stories and articles in the special issue, here.